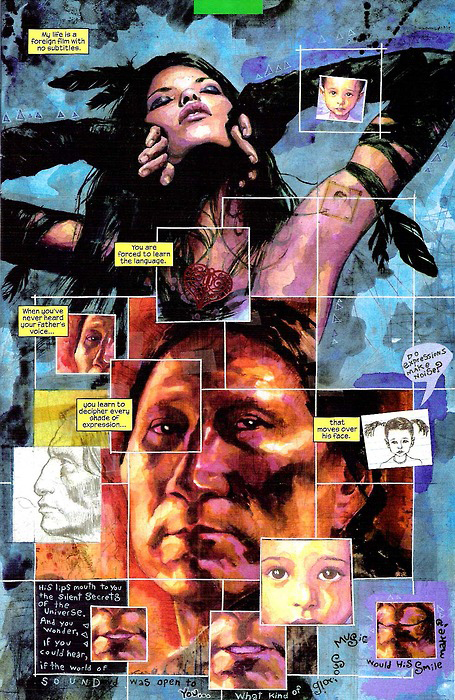 With David Mack it can be hard to define what is a 'splash page'. Like George Perez is want to do, he can take a key scene then inject it with various related reactions from the same scene or other elements that thematically contribute to the narrative he's trying to convey. David Mack's take on Echo? Just sheer beauty. Boy, looking forward to re-reading this when I finally get round to it. It sure was Robert - one that definitely put a new look on Hornhead's world that's for sure!